Learn to Love the Waiting Room! 25 – Learn to Love the Waiting Room! Waiting is so, so hard! Especially when we’ve worked like crazy to get our part done and now have to wait on a response. From agents. From editors. From publishing committees. But waiting doesn’t have to drive you crazy. In fact, being in a “waiting room” can be an opportunity. So get ready to thrive while you wait! We wait in strength—decisively. And we wait with heart—encouraged. We wait expectantly. Not anxious or driven, but expectant. God is at work, and His ways and path for us are perfect. We wait with confidence that God sees us, He hears us, and He is with us. We’re not forgotten, even in the deepest places. We wait with hope, and our hope is in Him and in His word. Not in our writing, our agent, or a publisher. This is about God’s glory. Not ours. We wait in obedience to His command to wait. When we’re doing things in obedience, it helps us cultivate the desire for His glory instead of ours. We wait with the understanding that He will accomplish His will in us, in His ways, and in His time. Does your writers’ or crit group need an extra dose of wisdom or encouragement? Are you looking for affordable speakers to uplift and guide you through the deep places of your writing journey? Host a group Skype call with Karen and Erin! We’d love to put our experience and expertise to work for you in a personalized video chat. Just send your questions beforehand, and we’ll give you practical tips, tools, and answers. And we’ll take real-time questions as well! Set up a Personalized Writers’ Workshop today for our special introductory price. Spaces are limited, so book your chat soon! 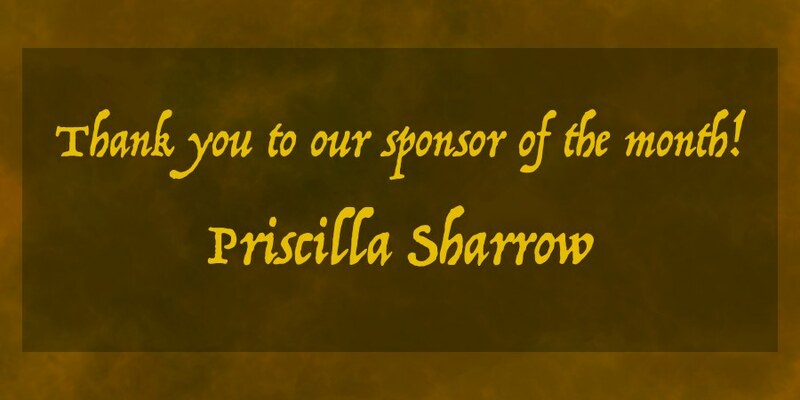 Join us at the Oregon Christian Writers Summer Conference on August 15-18, 2016! 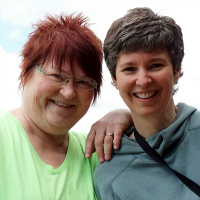 We’re teaching a Write from the Deep coaching session this year, and we’d love to have you there! This is a terrific conference with a wonderful selection of writing teachers, editors, and agents. AND it’s hosted in the beautiful Pacific Northwest! Learn more here! These short videos are all about CRAFT, because it MATTERS! We’ll give you tips and tools to help you take your writing to the next level. Plus, we’ll talk frankly about the publishing industry. How do you find these videos? You have to be a newsletter subscriber to get the links we send out in the newsletter. You can subscribe by clicking here! Have you experienced the waiting room? What encouraged you through that time? Waiting doesn’t have to drive you crazy. Instead, let it drive you forward! Don’t let worry weigh you down. Instead, stop it in its tracks. Don’t think it’s possible? Think again. 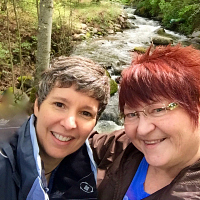 These simple truths and practical tips will equip you to turn away from worry and rest in the truth that you have Someone on your side who is bigger and stronger than any worry you face. Rest in inner nourishment for outer circumstances. “5 Thus says the Lord: Cursed are those who trust in mere mortals and make mere flesh their strength, whose hearts turn away from the Lord. 6 They shall be like a shrub in the desert, and shall not see when relief comes. They shall live in the parched places of the wilderness, in an uninhabited salt land. 7 Blessed are those who trust in the Lord, whose trust is the Lord. 8 They shall be like a tree planted by water, sending out its roots by the stream. It shall not fear when heat comes, and its leaves shall stay green; in the year of drought it is not anxious, and it does not cease to bear fruit. Rest in a better picture of who God is and how much He cares for us. Replace questioning God’s commitment to us with a commitment to patience and steadfastness. Replace devaluing God’s power with awe for God. 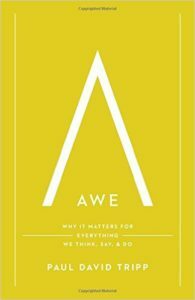 “When the grandeur of God is not in our eyes and filling our hearts, we will live as if it is all up to us, always working more and trying harder.” Paul David Tripp, in the book Awe. 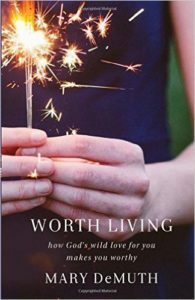 Check out our newsletter for details on how you can win a copy of Mary DeMuth’s latest book Worth Living: How God’s Wild Love for You Makes You Worthy. Thanks, Baker Books, for supplying 3 copies! Does your writers’ or crit group need an extra dose of wisdom or encouragement? Are you looking for affordable speakers to uplift and guide you through the deep places of your writing journey? 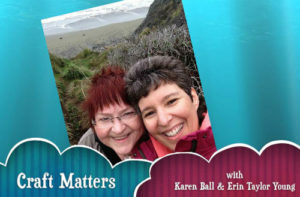 Host a group Skype call with Karen and Erin! We’d love to put our experience and expertise to work for you in a personalized video chat. Just send your questions beforehand, and we’ll give you practical tips, tools, and answers. And we’ll take real-time questions as well! Set up a Personalized Writers’ Workshop today for our special introductory price. Spaces at this price are limited, so book your chat today! What helps you when you’re tempted to worry? Are you weighed down by worry?